Excited for a new season? So are we! Winter wasn’t so bad, but we’re still more than ready for warmer weather and the fresh fashions and makeup that go with a change in seasons. Overhaul your makeup bag and give your complexion a boost with our beauty tips for some of the must-have skin care and makeup products that are key in starting your spring off right – looking gorgeous. These two work in conjunction to get your skin ready for a new season. Goodbye pale, winter skin, hello spring-worthy complexion. Now is the time to put your best face forward and take your skin from lackluster to lustrous. Getting your complexion ready for warmer weather means sloughing off the excess layer of skin (the dull, dead stuff, debris, oil, etc.) and doing what you can to counteract winter’s dulling effects on your face. For this, you also need a brightening mask – something that will perk up, smooth and revitalize your skin. Check out our picks below for our current go-to scrub and mask combo. 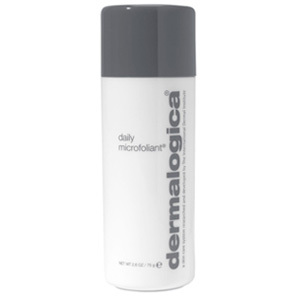 Dermalogica Daily Microfoliant ($50): An ultra-gentle rice-based enzyme powder that sloughs away dead skin and debris to reveal smoother, more supple skin. 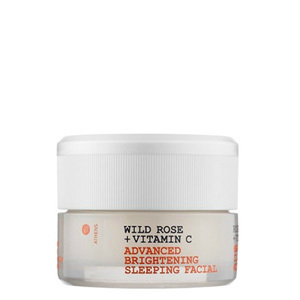 Korres Wild Rose and Vitamin C Advanced Brightening Sleeping Facial ($48): It might have a long name, but it really is a facial in a jar. It works overnight to brighten skin, even tone and tackle dark spots. We love cheek tints because they’re virtually fool-proof to apply and they provide a fresh, natural looking flush to the skin that seems perfect for spring. A cheek stain is not only easy to apply, it’s also buildable depending on the coverage you want or your skin tone. 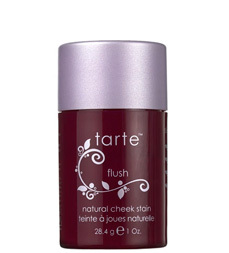 There are many makeup products out there worth noting but our go-to has always been Tarte Cheek Stain ($30), which comes in a wide variety of hues to suit your mood. This spring is all about painting your pout in a shade that gets noticed. Don’t be afraid to get a little bolder as the weather warms up – bright lips were all over the spring runways and we can’t help but agree with the many designers who made mouths a focal point this season. Give your beauty routine a boost by choosing a fun, flirty lipstick shade of pink (coral, orangey-peach or even look-at-me red). 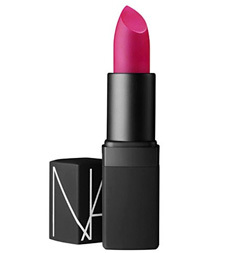 We’re currently in love with Nars Semi-Matte Lipstick ($24) in Funny Face, an ultra-fun shade of fuchsia. While lips are bold, nails are going neutral this spring. Strike a balance between professional and fashionable by choosing a nail polish shade that’s low-key but creates an on-trend, pulled together look. Neutral nails – from pale gray to pastel pink – showed up on more than a few spring runways and we love the prettily polished look. 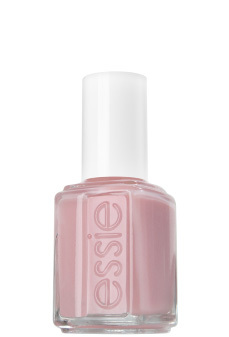 Try this creamy shade of pink in Essie Sugar Daddy ($8). Put down your bottle of foundation – this spring has taken a decidedly more natural turn. For that, you need tinted moisturizer, which is a product that evens tone, lightly covers imperfections and keeps skin looking naturally luminous. With a clean, bright canvas, you can experiment with some of spring’s fun color trends – the aforementioned bold lip, bright eye shadow and pops of color on the cheeks. 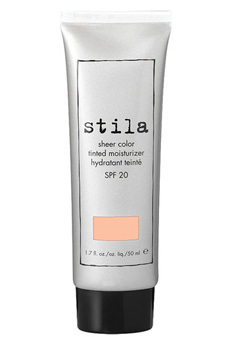 Try our current go-to, Stila Sheer Color Tinted Moisturizer ($34).